In the crossing between Athens (Piraeus) and Rhodes there is at least one ferry departing every day. The trip usually takes between 15 and 19 hours and the time of the departures varies a lot, you can find departures at 13:00, 15:00, 18:00 and even at 23:55, depending on the day of the week. During the high season, you can find two options of departure on Tuesdays and Sundays. An average ticket price goes from € 20 to € 51, but since the trip is long and usually overnight, you should consider the option of booking Bed Cabins, the price of the Bed Cabins goes from € 78 to € 111 (according to the ferry company and the type of cabin - if it’s a single cabin, two-bed, three-bed or four-bed). What is the trip duration from Athens (Piraeus) to Rhodes? Why should I book a Bed Cabin on my ferry trip? On arrival, you'll be fully rested, and ready to take on the day in your new holiday destination! Which ferry should I choose for the Athens (Piraeus) to Rhodes ferry trip? On such long journeys, it is advisable to travel with a cabin. In order to do so, you should book your tickets at the earliest possible opportunity since these can become overbooked (3-4 months before the trip should be fine). The port of Piraeus can get really crowded during the high season. Make sure you arrive there at least one hour before your scheduled departure. Ferry rides can get a bit bumpy in the summer time, if the wind picks up. Don't worry about this as they are not permitted to travel in unsafe conditions. If you become nauseous, the ferry reception will usually be able to provide you with non-prescription travel sickness relief medication. 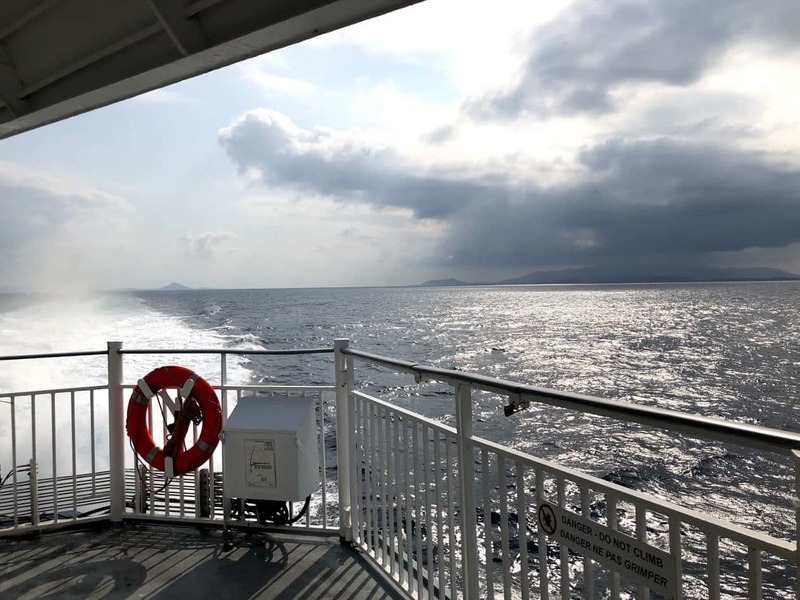 Rhodes is also directly connected to the islands of Kos, Karpathos and Kastellorizo with several daily ferries, we highly recommend the travelers to enjoy combining these itineraries with some island hopping. Rhodes is also connected to the rest of Dodecanese and Cyclades, such as the islands of Patmos, Paros, Naxos, Kasos, Nisyros and Astypalaia with several ferries per day. So, don’t forget to consider visiting and exploring at least one of those beautiful alternatives. In our pages, you can find useful travel information about Rhodes.